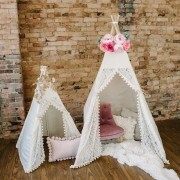 Looking to create a unique imaginary space for her kids, Katie Bocchino created E&E Teepees so they’d have an original space of their own to read and be creative in. One teepee led to another and now she designs and hand-makes all her teepees and floral toppers in her home town of Louisville, Kentucky, with her husband Andrew Bocchino. 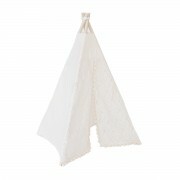 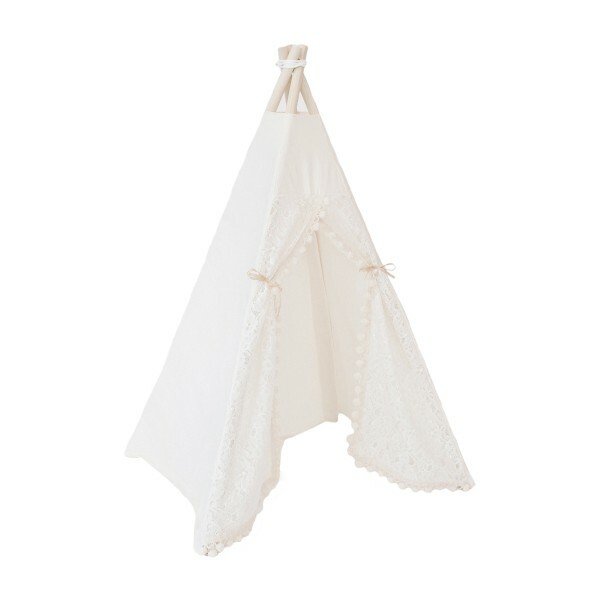 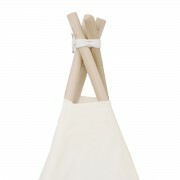 Perfect for babies and toddlers, the Itty Bitty Teepee collection is just as lovely and fun as the original size. The Cream Lace is beautifully crafted from pima cotton with nylon lace doors and features cream pom-pom fringe, door ties with four wooden poplar rods to hold it up.